Outfit yourself for target practice. 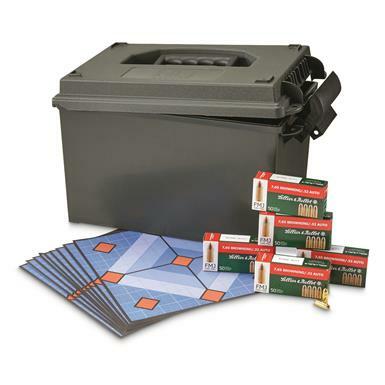 Here's complete set for target practice - ammo, targets and an ammo can. Includes 250 rounds of high-quality Sellier & Bellot .32 Auto ammo packed in a plastic .50-cal. Ammo Can. Plus, a 10-pk. 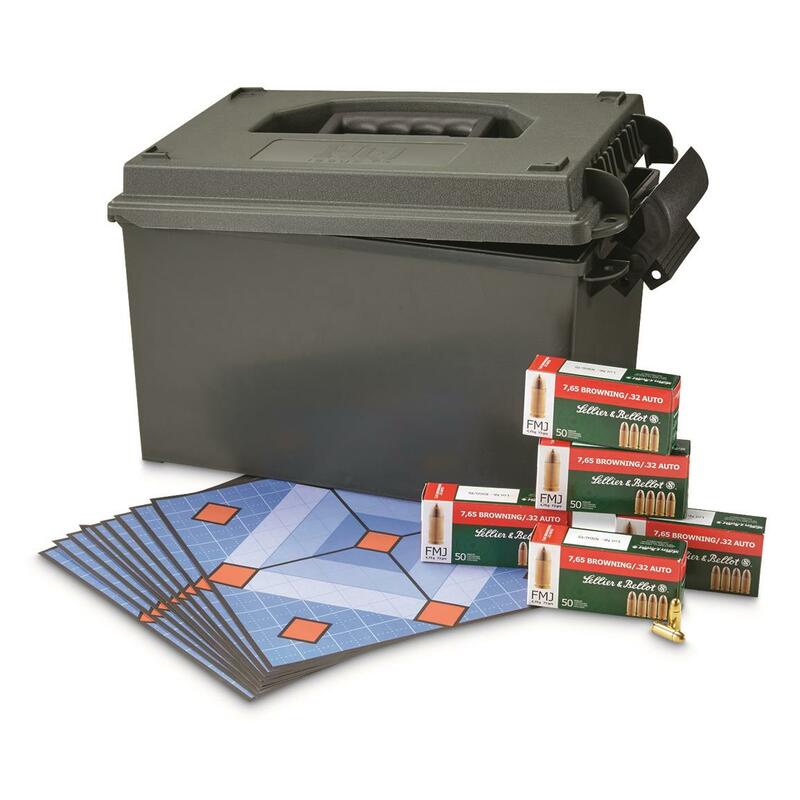 of Do-All Outdoors Accu Blue Diamond 10"x10" Paper Shooting Targets, each with a grid background and 9 aiming points, so you can truly practice your aim and maximize the use out of each target. Ammo Can: 13.5" x 7.5" x 9.25'h., 2 lbs., 11 oz.